Well, by Alias In Town, began after the author came home from hospitalized treatment for addiction and a suicide attempt. She started pouring over old journals and found entries where sh sought forgiveness, healing and deliverance. She gathered them into a scrapbook. She also added original artwork telling her story through the end of a paintbrush. She dug through her blog, and gathered essays into the scrapbook too. She realized this scrapbook had become something. It had become a vulnerable and raw memoir telling a story of hope. The author chose the pen name Alias In Town because it is an anagram of her name and because in every town there are alias people living with chronic illness, chronic pain, addiction and depression. The author is one of those people. Those living with chronic illness share many commonalities. Well addresses these commonalities. The book includes information on Identity, Authenticity, Addiction, Coping, Grief and other topics associated with living well while ill. What makes you well is not your physical state. Everyone is in some sort of physical decay as we pass from this life to the next. Well, is a unique work of nonfiction making the reader feel as though they are looking at a scrapbook of a life story. 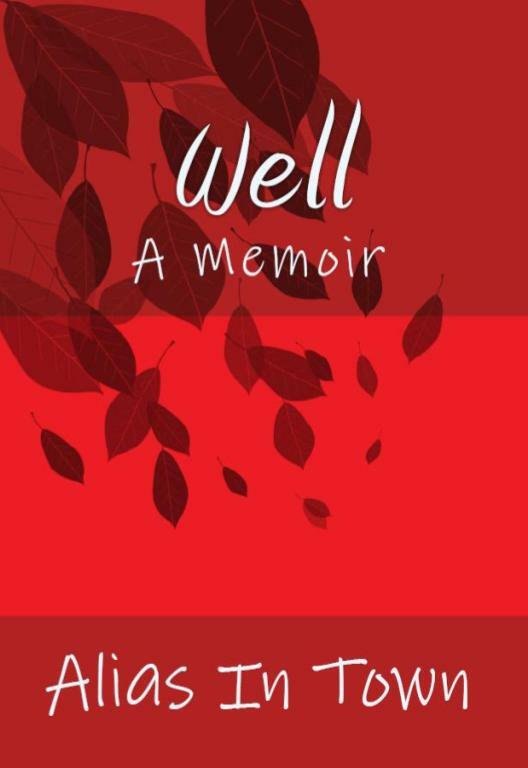 Well is available on Amazon.com. Search for "Well Alias In Town"